TLR seems to make it a habit of being the spoilers at Nationals. 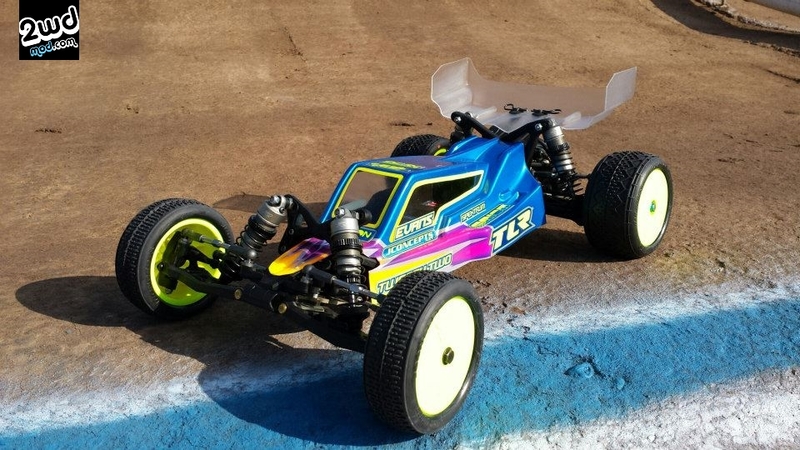 In 2011, TLR released a new buggy and in its debut year at the nationals, the 22 buggy wins its 1st title. Just recently they announce an update to the 22 and called the 22 2.0 and BAM! they win yet another national title. This time, it was piloted by the future… Dakotah Phend, also known as “The Phenom”. 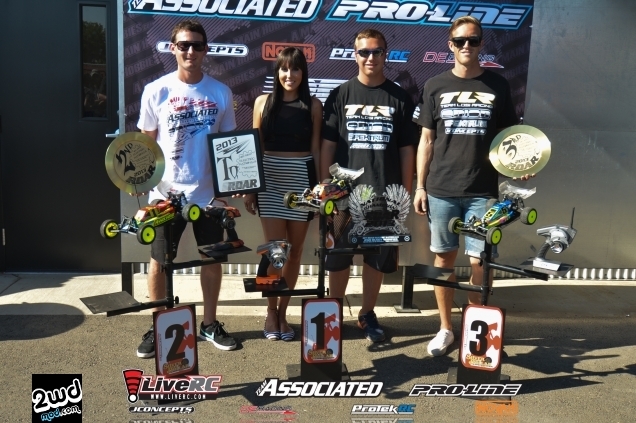 Congratulations to Dakotah Phend and TLR as they stole the show in a hard earned victory and 3rd place podium finish for Dustin Evans. No, those are not road biker spandex. Kid’s just got some beefy, stacked legs. As I said before, Dakotah is the future of our sport. Right on par with some of the greatest of all time, you have to win a few national titles while still in your teens to really be taken as a future legend…… how about 3 national titles in 2 weekends? 1 being 2wd mod which is the most coveted title of all. Some of you have heard that he was the only real elite fast guy who ran rear motor. In an interview he said he was more comfortable with the RM setup and that he wanted to stick with what he knew best. What a call it was….now he’s the 2013 national champ! I don’t know why mid motor is such the rage right now. It almost feels as if the industry and companies are forcing it upon the consumers. Look at what they have to do in order to run MM cars. To provide enough beneficial mid motor grip, they have to COMPLETELY sugar the track. Well…..what if they didn’t sugar the track and just let it groove up like a normal track? Would people be running mid motor? Would it even be an option? So why all of a sudden is there this huge high traction push to get these cars to work when in years past, this was never an option? Great job to Phend who battled everyone with a rear motor car and won. 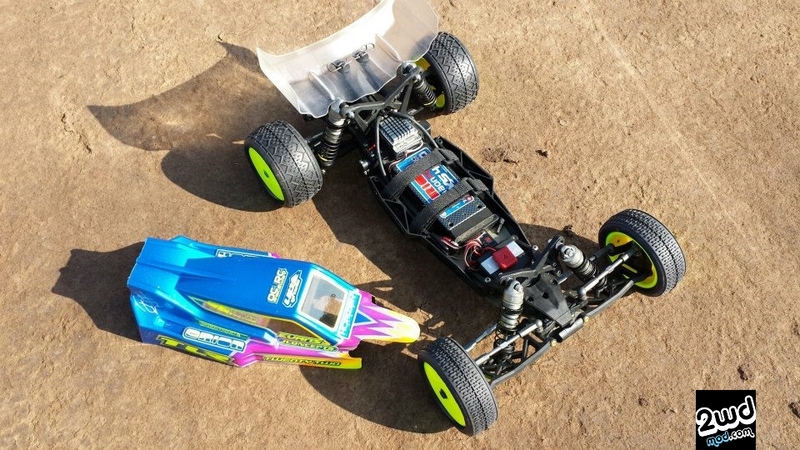 Here is a pic of Dakotah’s rear motor TLR 22 2.0 with the new TLR prototype cab forward body which is rumored to be released in the later half of September. No, that is not a special tug boat undertray. It’s a part of his car stand and unfortunately it meshed perfectly fooling the human eye a bit. What I did notice is that he’s rocking some brass weight on the side pods which look super trick. Here is his setup nationals. If you’re not running on super high bite and 100 degree temps. I would try this setup with 2.5wt lower shock oil and/or the kit springs. Here are the video links below courtesy of LiveRC. Also, I wanted to add a few pics I found of Dustin’s car at the 2013 ROAR Nationals. 3rd place podium finish….gotta be stoked with that! Here’s a few nice pics of Dustin’s 222 for case studying. 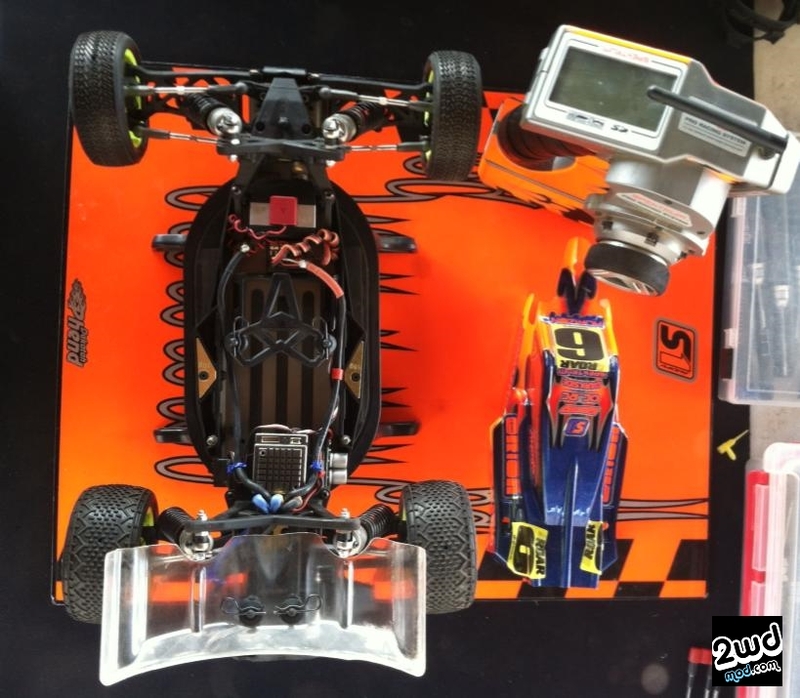 I believe all the TLR guys (AE, Kyosho, and the rest of them) have both RM and a MM cars now fully locked and loaded and this obvious is a pic of Dustin’s RM with the prototype body. He opted for the mid motor and finished 3rd! There is something new the team guys are running (at least on the RM car) that isn’t released with the 222. If you look closely the car has a Kyosho style steering rack. See his ballstuds on the slider? With the slider, they usually point the opposite way. I remember Exotek releasing one of these for about $70.00 all aluminum setup. This might be different as it looks like plastic parts. I’m sure this will be released later as an option part by TLR. 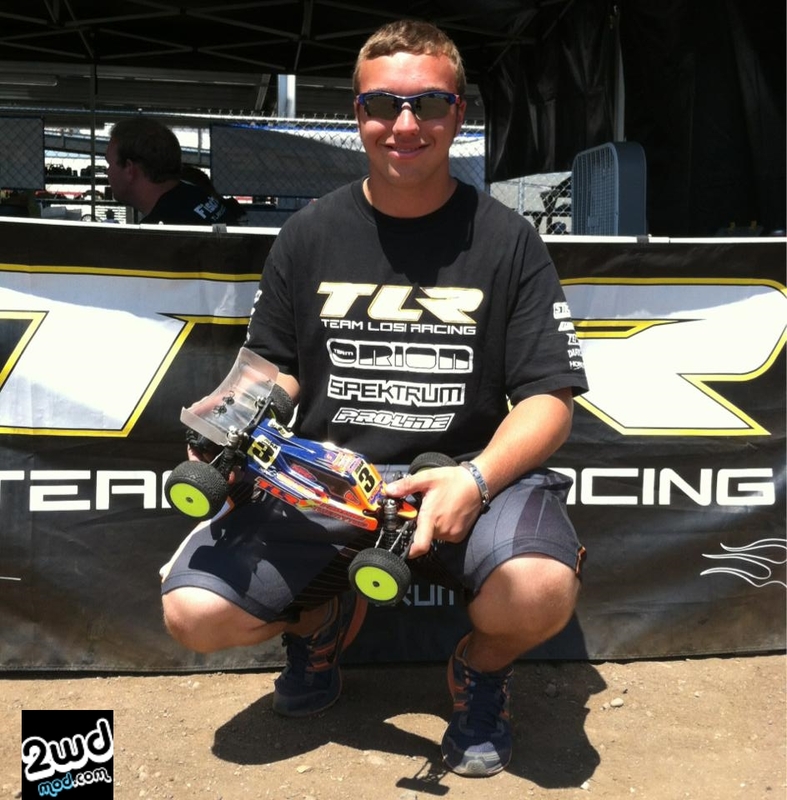 Tags: 2.0, 2013 ROAR, 22, 2wd modified, 2wdmod, champion, dakotah phend, national, offroad, phenom, tlr, v2. Bookmark the permalink.